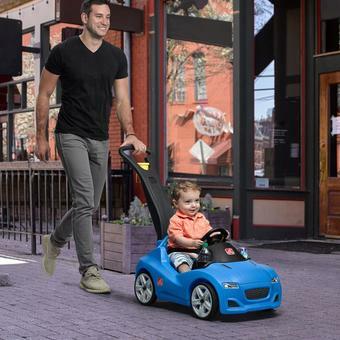 Let your little one ride around in style with the new Step2 Whisper Ride Cruiser. 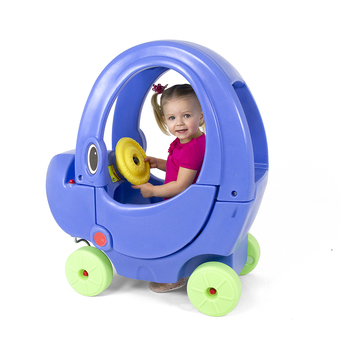 The body is modelled after modern day supercars and is available in both blue and pink. 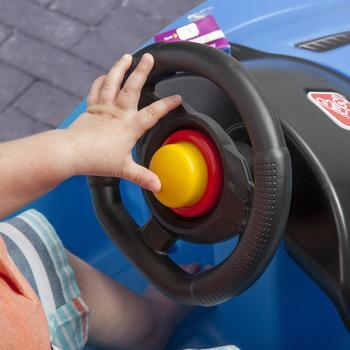 Kids can pretend to drive with the movable steering wheel, as well as playing with the working horn. 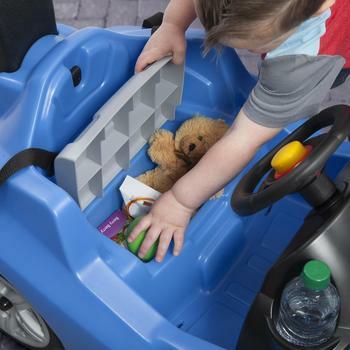 There's also a storage compartment beneath the seat so there's always room to carry more toys around! 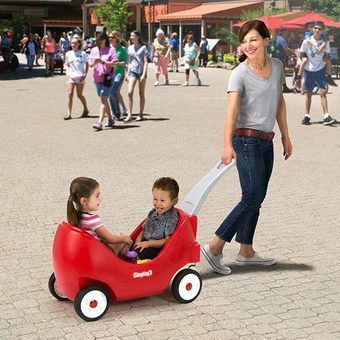 Realistic-looking kid’s ride-on features a sleek supercar look, life-like decals and pretend steering wheel with working horn! Ordering from activity toys direct was brilliant really great service I had to change delivery details and they were very helpful. They whisper ride cruiser is more of a loud rattle than a whisper. Purchased for our Grandson who absolutely loved it..exactly as described was easy to put together..pleased we chose it. 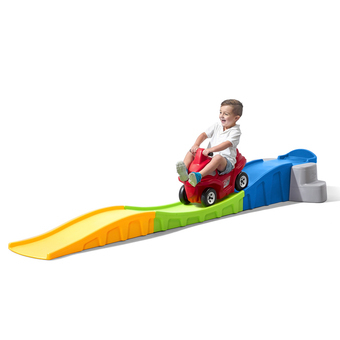 Also brilliant servic from.Activity Toys...couldnt fault them! My son loves this very light and easy to manoeuvre. Q: Does it have a strap to keep my child safe? A: Yes, there is a seatbelt on the seat. 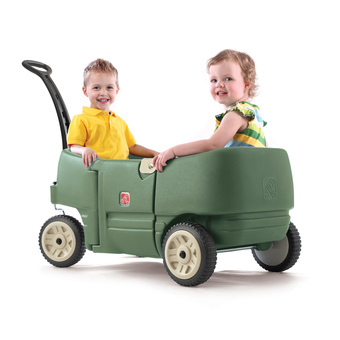 Q: Is this worth buying for my son whenmhe is already two and a half? 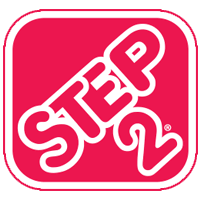 A: Step2 recommend this product is suitable from 18 months to 48 months. 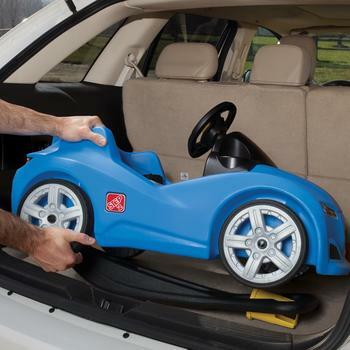 Q: Can the handle be removed and the child steer the car independently? A: The handle can be folded around for easy storage. The steering wheel moves but does not steer the car - the cruiser is designed to be pushed. 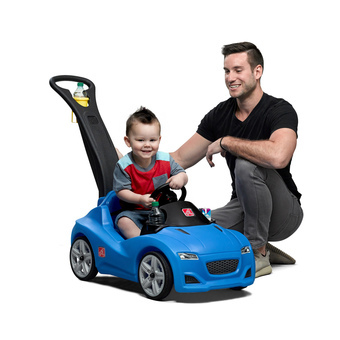 Need to know something about the Step2 Whisper Ride Cruiser - Blue? Leave your details and your question below and we'll email you the answer soon, as well as publishing the answer for future customers in the Questions section!